1. Use real science fiction writers. The original series did this and that’s why the stories are remembered fifty years later. 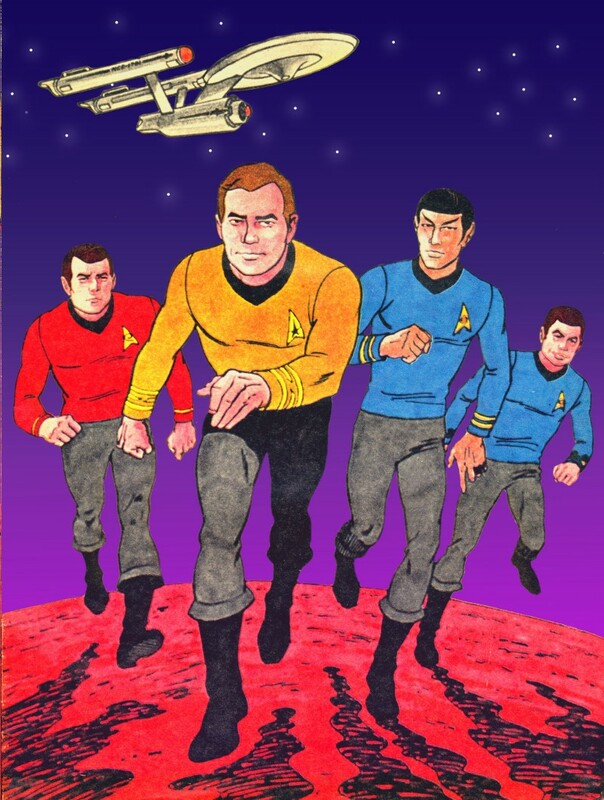 In fact quite a few current SF writers were turned on to SF by Star Trek, so it would be nice to bring it full circle. 1a. If you’re using real writers, make sure one of them is Peter David. It’s long past time he was given a proper crack at the franchise. 2. Don’t rely on cameos from the other series. It draws in viewers in times of lean ratings but it’s a cheap gimmick and it’s weak. By all means reference them in passing, in dialogue, as the legacy of Kirk, Spock and Picard is epic in the Federation, but be your own show. Boldly go. 3. Stay true to the optimistic tone of Star Trek. I get it, post apocalyptic & grimdark is all the rage but one of the most popular things about Star Trek was that it saw hope for humanity. Surely there’s a way to write that for modern jaded palates that doesn’t come out twee. 4. Embrace new TV memes of evolving characters and universes. One of the hallmarks of Trek was the A to B to A evolution of individual episodes. There was the status quo, a problem presented itself, the problem was solved, and at the end everything was pretty much back to the way it was at the start of the episode. Now on TV, story arcs reign, characters develop and die, and situations change permanently. Star Trek needs this. 5. Cut back on the technobabble. I realise it’s got to sound a little futuristic, but don’t pepper everything with gibberish fuelled deus ex machina endings. Good writing will solve this. 6. Make it for Trekkies. If you make it good, word of mouth will drive viewership, whether people are Trekkies or not. But if you water it down to the point where it could be any generic SF show you will lose your core audience. Look at Battlestar Galactica. I would imagine only the smallest percentage of people who watched that show were fans of the original. 7. The universe is deep, explore it. There have been 4 series and 10+ movies that are considered canon. There’s enough material there to keep decent writers going for years. Don’t show us the same old same old. I would also say that the thing they do not need to do is bow to political correctness for the sake of it. By all means have an LGBT character, but make it a part of their overall makeup as if it were *gasp* real life. Don’t have a black, trans engineer just to show us how hip you are. This entry was posted in TV and tagged fandom, Star Trek, TV. Bookmark the permalink.